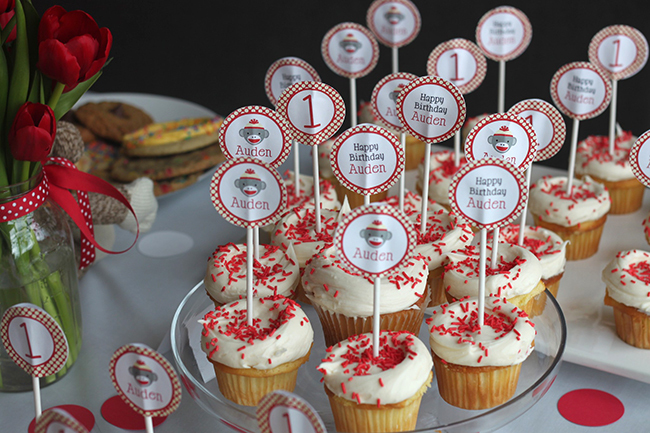 Sock monkey party: Auden is 1! 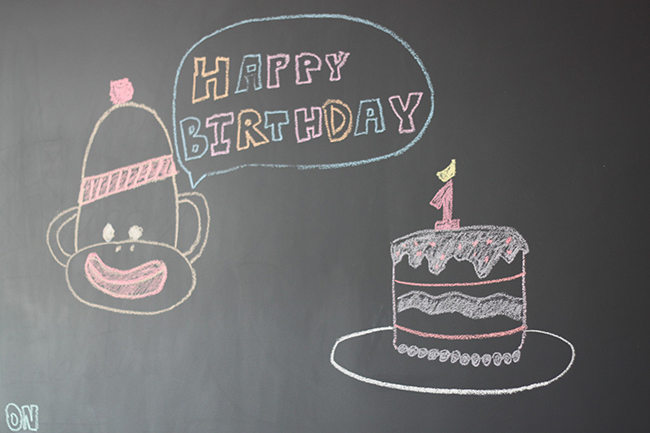 Today’s featured party is an adorable sock monkey first birthday! 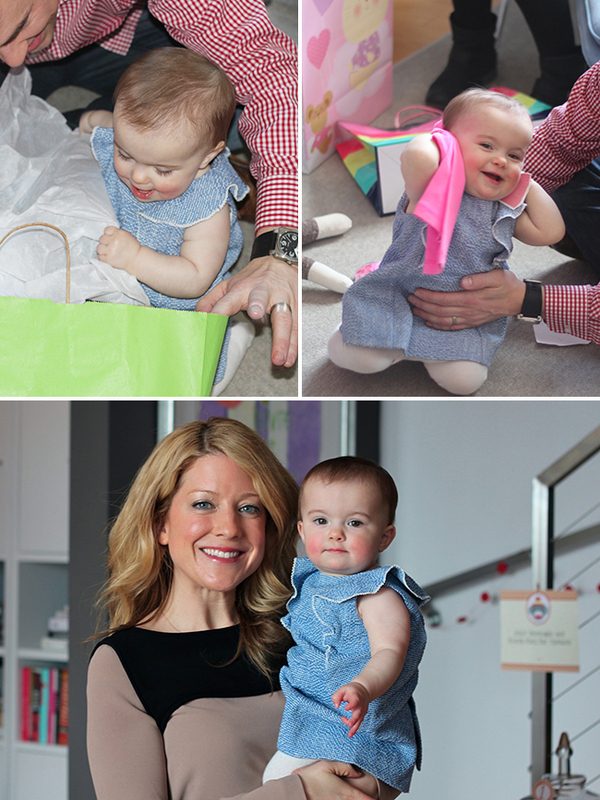 It was put together by my wonderful customer Leslie for her daughter, Auden. 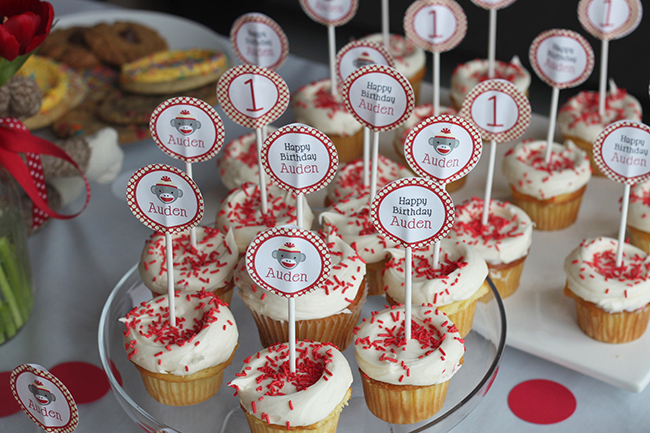 There are sock monkeys galore, and Auden is the happiest little birthday girl! 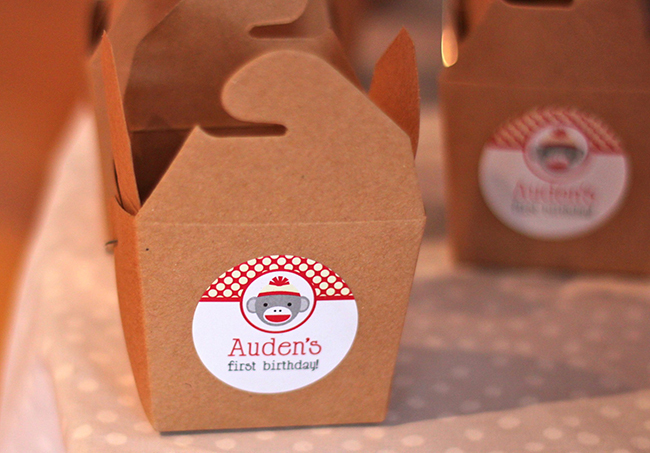 …and stickers to decorate the party favor boxes. She also used my newest (and current favorite!) item – miniature Hershey bar labels! 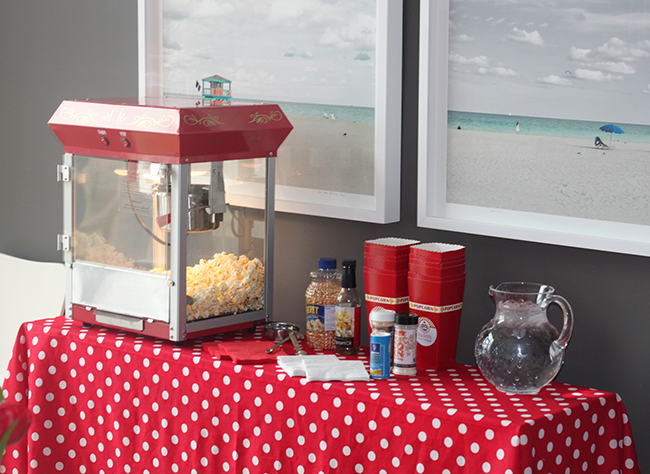 A popcorn bar was set up, complete with a popper, red boxes, and various toppings. 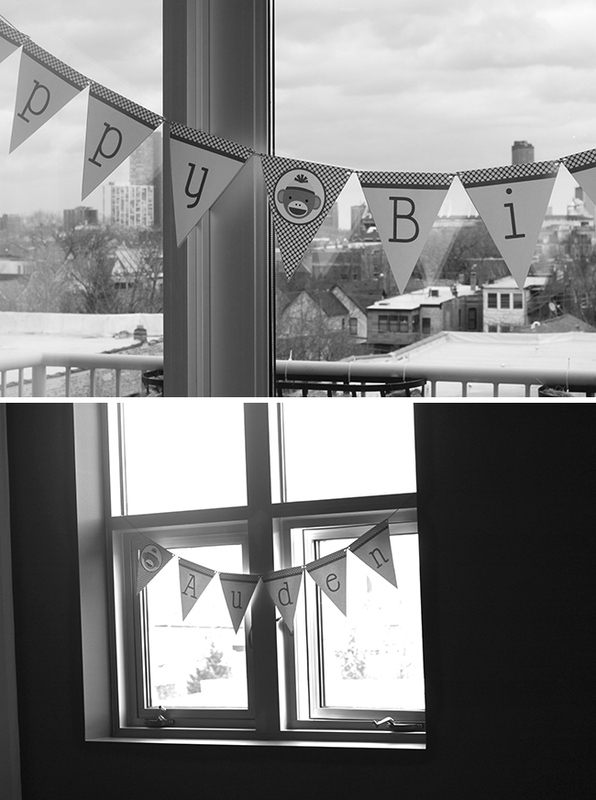 Auden’s printable banner was hung in the windows, and Leslie made a photo display using mini clothespins and red twine. A framed sign at the candy bar encourages guests to load up on sweets! 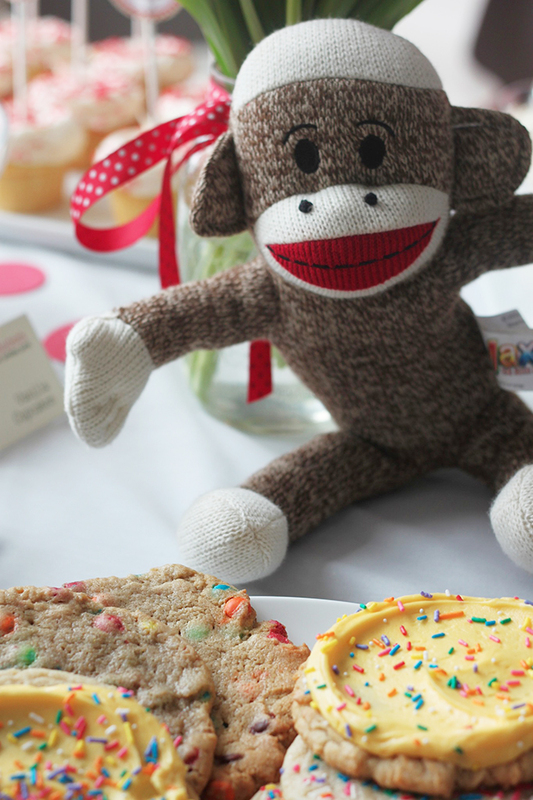 Shop for personalized Sock Monkey theme party paper goods and printables here. 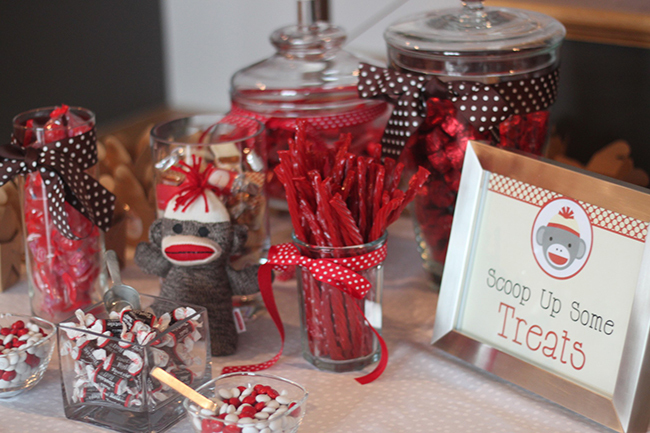 Or, check out more Sock Monkey theme party ideas on Pinterest or here on my blog! 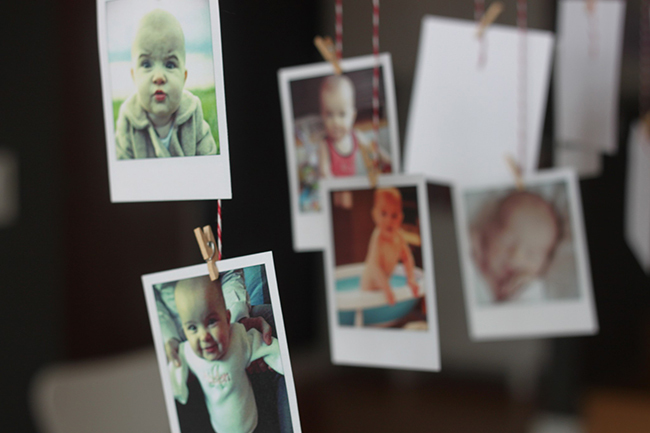 This is absolutely adorable. 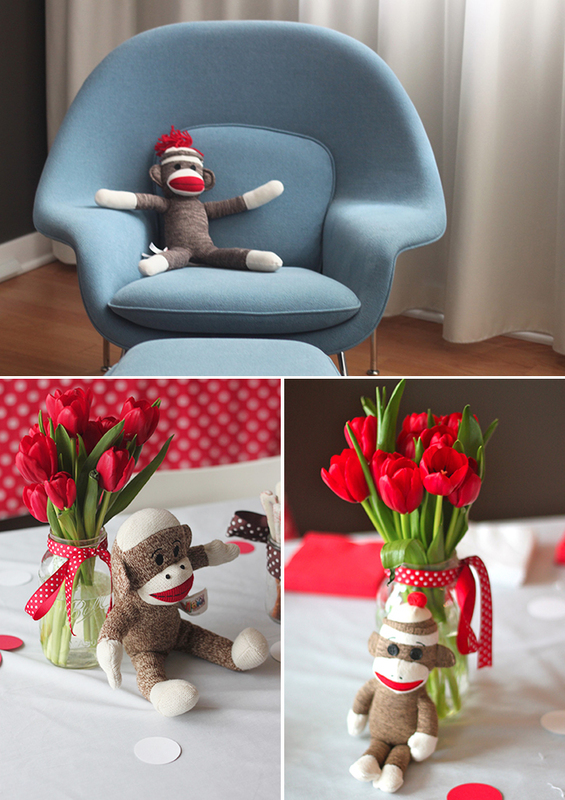 Love the cuteness of a sock monkey theme for a baby! Where were you able to find the little mini sock monkey animals. I am having the hardest time. 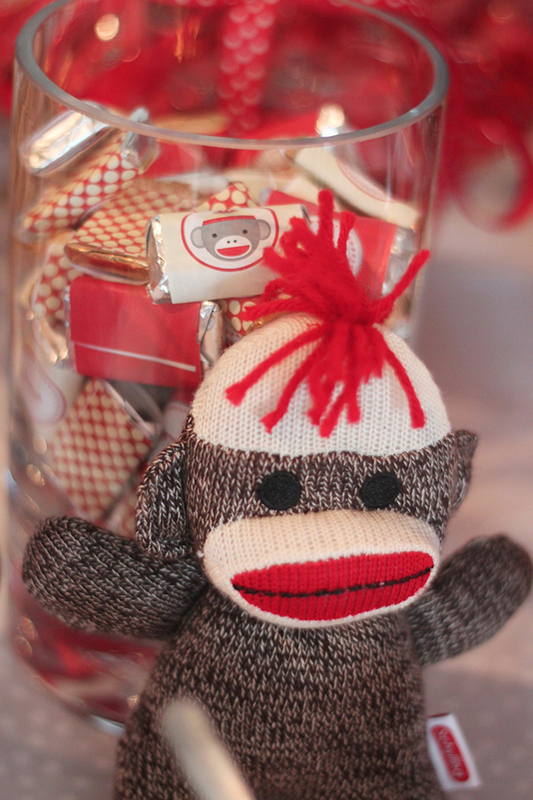 I am having a sock monkey party for my sons 1st bday at the end of the month. Here are some links to sock monkeys: one, two, three. Hope this helps!